David Milch, celebrated the premiere of his new television series called ‘Luck’ which aired on January 29, 2012. 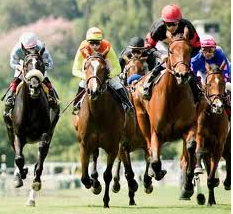 The screenwriter and producer was first introduced to the sport of horse racing and the art of gambling when he was just a young boy of 6 years in Saratoga Springs, New York. But his father didn’t let his tender age stop all the fun. A deal was struck with a local waiter at the horse track to run Milch’s bets. This led to an unexpected gambling addiction and later to a show about horse races and wagers. Many us of us don’t realize that every day we are gambling with our lives, and worse yet, our families’ lives. We hardly stop to think about our ticking life clocks, let alone even attempt to face the reality that one day we will all die. After all, the death rate in Florida is 100%. It is unlikely this statistic will budge any time soon. Therefore, it is vital that we all start thinking about our estate plans for the sake of our loved ones before it is too late. It’s a scary thought that only less than half of all Florida residents have one in place. Don’t fall victim to the misconception that you are too young or not wealthy enough to worry about it. You need to worry about it. South Florida estate planning is rarely about the money. It’s about the protection of your loved ones. Don’t place a dangerous wager on your life or the lives of your loved ones. Not scheduling a free consultation with a highly qualified and experienced South Florida Attorney is like betting a Pick 6. Your chances of winning are impossible. When it comes to life, the key is in the planning process. After all, when was the last time lady luck was by your side? This week is welcomed by the holiday known as Celebration of Life Day. Every January, it is a day to take the time to honor children and grandchildren in America. Each life is held to be a precious gift. However, sometimes we are too busy existing in life that we forget to actually live it, let alone stop to appreciate the people we love most. Hardly do we ever contemplate life after death and rarely do we stop to consider what will happen to our children after we pass away. There can be no better way to show love and honor to our progeny than to protect them from future legal distress and financial insecurity after we are gone. Ensuring a brighter future for our children and grandchildren starts with estate planning and asset protection. The attorneys at Wild Felice & Partners are well-equipped with the necessary tools, legal knowledge, and expertise of South Florida estate planning strategies and asset structuring to ensure the financial stability of society’s most vulnerable individuals in order to guarantee the quality of life they deserve. Whether it’s a drafting a will or forming a trust, there are countless benefits to strategic estate planning. You can protect your children and grandchildren from potential lawsuits and creditor claims to your family life savings. 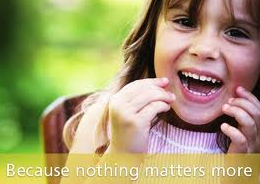 You can protect your children against inadequate insurance coverage. You can eliminate the need for probate and reduce the burden of estate taxes. It is difficult to think of a better way to celebrate the life of your offspring and acknowledge them as precious gifts of life than to ensure their financial protection and shield them from unnecessary legal hassles after we are gone. In return, our children will be honoring us …on Remembrance of Death Day. I am trying to come up with a topic related to South Florida estate planning and asset protection as I watch this South Carolina Republican debate and the candidates are currently stuck on the topic of the right to life and debating which of them are pro life. If anyone took a look at what’s going on with the estate tax and how difficult and costly the South Florida probate process is, theyd surely be pro life. With a 55 percent estate tax, there’s no way a person would be pro death. I hope that was what they were talking about. The South Florida estate planning and wealth protection firm of Wild Felice & Partners, PA is proud to announce that managing partner Michael D. Wild has recently received an “AV® Preeminent Rating” by Martindale Hubbell. An AV® certification rating is the highest rating provided by Martindale-Hubbell – a testament to the fact that a lawyer’s peers rank him/her at the highest level of ethical standards and legal ability, based on legal knowledge, analytical capabilities, jud…gment, communication ability, and legal experience. We thank everyone who rated Michael with such a high distinction and we especially thank all of our clients and referral sources for the continued trust they place in Michael and in our firm for something as important as estate planning and asset protection. LexisNexis facilitates secure online Martindale-Hubbell® PEER REVIEW RATINGS™ surveys of lawyers across multiple jurisdictions and geographic locations, in similar areas of practice as the lawyer being rated. Reviewers are asked to assess their colleagues’ general ethical standards and legal ability in a specific area of practice. AV Preeminent (4.5-5.0)– AV Preeminent is a significant rating accomplishment – a testament to the fact that a lawyer’s peers rank him or her at the highest level of professional excellence. 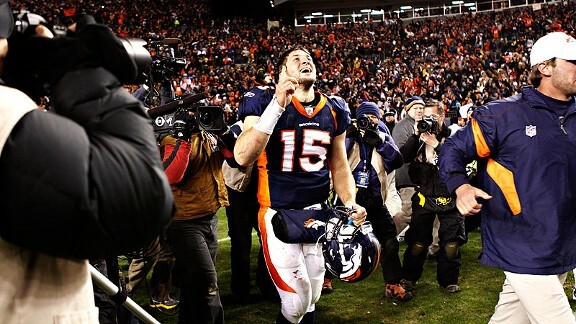 Tim Tebow just lead the Denver Broncos past the Pittsburgh Steelers in the first round of this year’s NFL playoffs when very few Floridians thought that he could. Just like most Florida residents thought the Steelers would win, most residents of South Florida believe that they will never die. This must be the case because the percentage of people in South Florida with trust based estate plans already in place is very low. Furthermore, when speaking about estate planning, most people will ask what is going to happen “if” they die. Then I have to break it to them that the death rate in Florida is 100 percent. Death is a certainty; whether you are prepared for it is able to be controlled. Tim Tebow always does the right thing so I am sure that he has a living trust as well as the other Florida estate planning docments that make up the foundational Trust-based estate plan. Do you?